In September of 1979, HP took an option to purchase 550 acres in Greeley Colorado, about 15 miles east of Loveland. In August of 1980, Tom Kelley was announced as the general manager for the new Greeley Division (GLD), which began operation in November. The Greeley Division actually operated out of the Fort Collins facility before physically relocating to Greeley in May of 1983. The 9111A was one of its first products. The Greeley Division’s primary charter was low-end mass storage – floppy disc drives and hard drives for HP desktop computers. In its early days, the Division was most commonly known by the unfortunate name of the “PMS Division” (personal mass storage). The Greeley Division also took on responsibility for HP’s system tape drives (from Boise), the 797X series of half-inch tape drives. In late 1981, the Greeley Division developed the 9134 and 9135 disc drives in only 14 weeks. The personal mass storage business grew steadily from just over $30 million in 1980 to just under $130 million in 1984. The business stagnated for the rest of the decade, falling to $50M in 1988. The personal mass storage business was designated as product line 98 within HP. The system tape business was a steady performer for Greeley. Turnover increased from $60M in 1983 to just over $150M in 1989. In 1984, Greeley Division introduced the 9144A quarter-inch cartridge tape drive. The 9144A became a big seller for HP; it was used on all HP mid-range systems. Also in 1984, GLD introduced the 7978A half-inch tape drive. The 7978A was half the size, half the cost and five times more reliable than the 7976A (introduced in 1981) that it replaced. In October of 1985, the cartridge tape operations of the Greeley Division were spun off into the Greeley Tape Operation, reporting to the Computer Peripherals Bristol Division. In October of 1986, the Greeley Division released the 97504B disc drive controller, HP’s first SCSI product. In February of 1987, the Greeley Division introduced HP’s first scanner, the ScanJet. The ScanJet was developed by the Boise Division. In August of 1987, the tape operation was promoted to division status and renamed the Greeley Mass Storage Division (GSD). John Boose was the division’s first general manager. The ScanJet business at Greeley was formed into the Greeley Hardcopy Operation under Doug McCord. In September of 1987, the Greeley Hardcopy Operation introduced ReadRight, HP’s first OCR software for the ScanJet. Although the scanner market was a lot smaller than the printer market, HP quickly achieved a strong position. The Greeley Division had turnover of $20M in its first year in the business. That revenue grew to $70M in 1990. In February of 1989, the Greeley Hardcopy Operation introduced the ScanJet Plus, an 8-bit grayscale scanner. In June of 1989, GSD introduced HP’s first re-writable optical drive. The 650/A listed for $6,435 and could write to discs with a storage capacity of 650 Mb. In November of 1989, GSD introduced the 6300 20GB/A optical disc library system which held 32 of the optical disc cartridges. 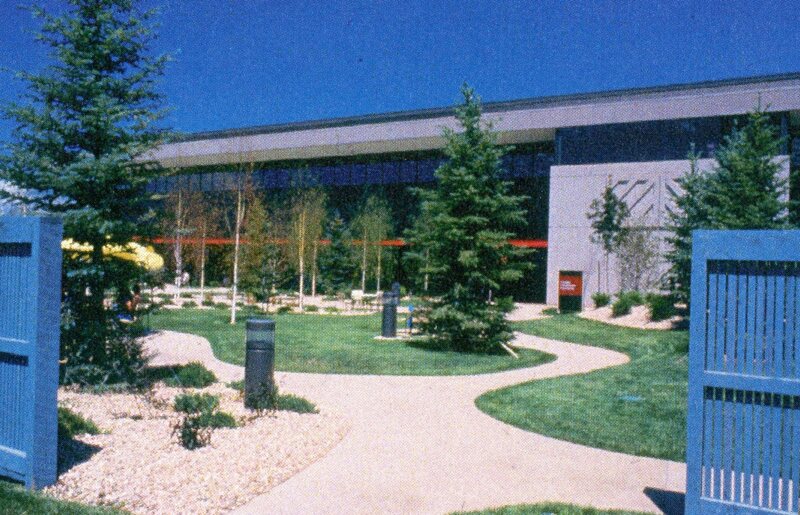 In February of 1990, the Greeley Hardcopy Operation was promoted to division status with McCord as the general manager. In 1991, the Greeley Hardcopy Division introduced the ScanJet IIC, HP’s first color scanner. HP vacated the Greeley site in 2003 after the company discontinued the CapShare handheld scanner range. Check out the 'Division Documentation' link below for a 47 page document produced by the Greeley staff commemorating Greeley's operation from 1983 to its close in 2003.